Vybz Kartel, "I only reflect society." 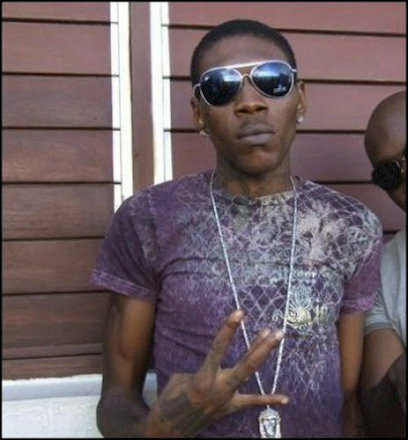 The Jamaican dance hall artiste Vybz Kartel has told BBC Caribbean that his controversial lyrics only reflect the harsh realities of society. Speaking in an interview with the British Broadcasting Corporation (BBC), Kartel, whose real name is Adidja Palmer, noted that he was unaware that regional leaders had so much idle time on their hands to consider banning an act from performing in their countries based on his lyrics. His comments come in wake of the recent decision by the government of St Lucia to deny him a work permit, which, had it been granted, would have seen the deejay taking the stage at two concerts this past weekend. I am a major VYBZ KARTEL fan. i am a fan and enjoy his music as well. over the years, vybz lost points from me so to say. its not that im in support of the ban, but what i find surprising is that slu's banning received alot of attention whereas other islands have taken the initiative to do so before. also, more surprising is that a number of jcans are for it. however, banning kartel won't make any difference what so ever; the radios play it, ppl download it and play it more...as far as i can see, any 'damage' he's capable of doing, its already done. his physical appearance wouldn't make any difference. wat can he do? make patrons find guns to buss shots in the air? please.